Fir invites you to enjoy the view with an open floor plan highlighting a great room, nook and kitchen that ow beautifully together and face a large wraparound deck. This lodge-style home entertains effortlessly and features a gourmet kitchen, formal and informal dining areas, and large replaces both indoors and out. 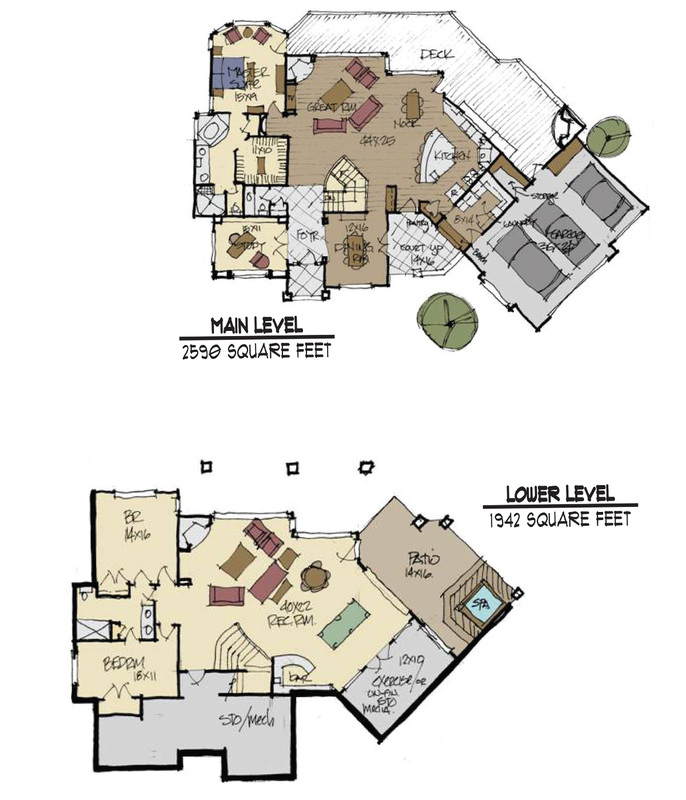 Fir also includes a spacious main level master, a study, and lower level bedrooms and recreation areas.